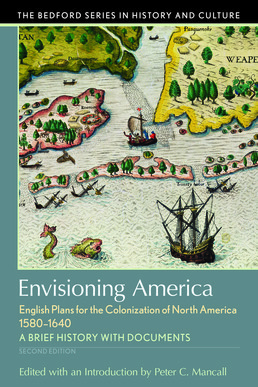 English plans for the colonization of North America, 1580-1640. Through a collection of documents and a revised introduction that incorporates updates in scholarship over the past two decades, particularly on the north and environmental history, Peter C. Mancall gives you a glimpse of the time when the possibility of colonizing North America was anything but certain. Pamphlets, accounts, and engravings from the late sixteenth to the mid-seventeenth century capture the process of English colonization from its origins in promotional propaganda to its realization on the shores of North America. An updated chronology and bibliography, along with new Questions for Consideration, will serve to further aid your understanding of this compelling topic. 5. Sir Walter Ralegh, Of the Voyage for Guiana, 1596? 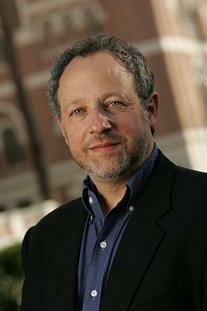 Peter C. Mancall is Andrew W. Mellon Professor of the Humanities, Professor of History and Anthropology, and the Linda and Harlan Martens Director of the USC-Huntington Early Modern Studies Institute at the University of Southern California. He is the author of five books, including Fatal Journey: The Final Expedition of Henry Hudson--A Tale of Mutiny and Murder in the Arctic; Hakluyt’s Promise: An Elizabethan’s Obsession for an English America; and Deadly Medicine: Indians and Alcohol In Early America, and the editor of ten books, including The Atlantic World and Virginia, 1550-1624 and Travel Narratives from the Age of Discovery.